﻿ Best Price on Residences Guadeloupe in Sainte Rose + Reviews! Providing an outdoor swimming pool, Residences Guadeloupe provides accommodations in Sainte-Rose. Free WiFi is provided. Each unit comes with a terrace, a fully equipped kitchen with a microwave, a seating area with a sofa, a flat-screen TV, a washing machine, and a private bathroom with shower. A balcony with garden views is offered in each unit. Guests at the vacation home can enjoy a continental breakfast. Residences Guadeloupe has a grill. Guests can go fishing or relax in the garden. 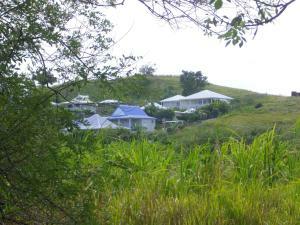 Le Gosier is 23 miles from the accommodation, while Sainte-Anne is 31 miles from the property. The nearest airport is Pointe-à-Pitre Le Raizet Airport, 19 miles from the property.